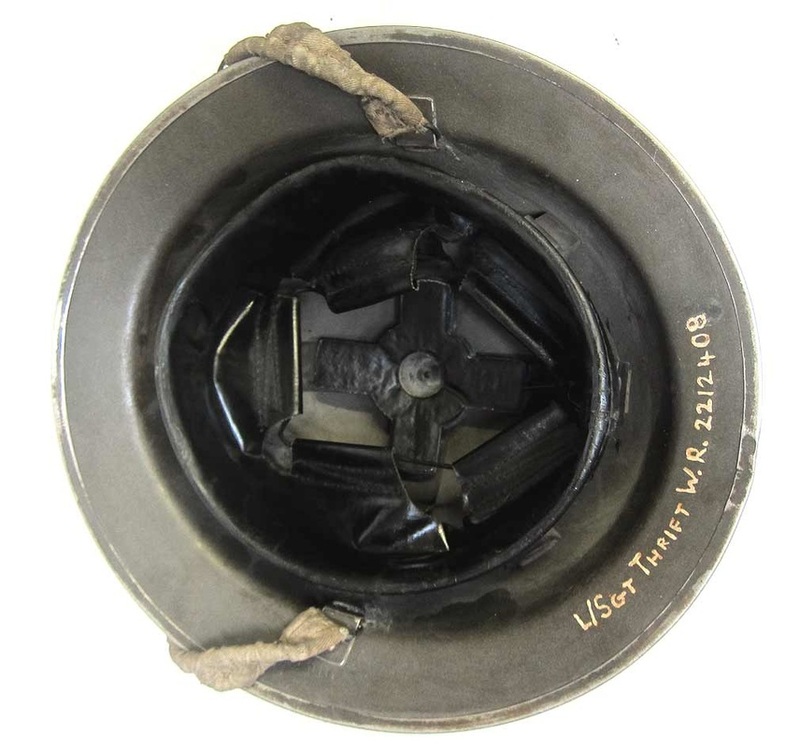 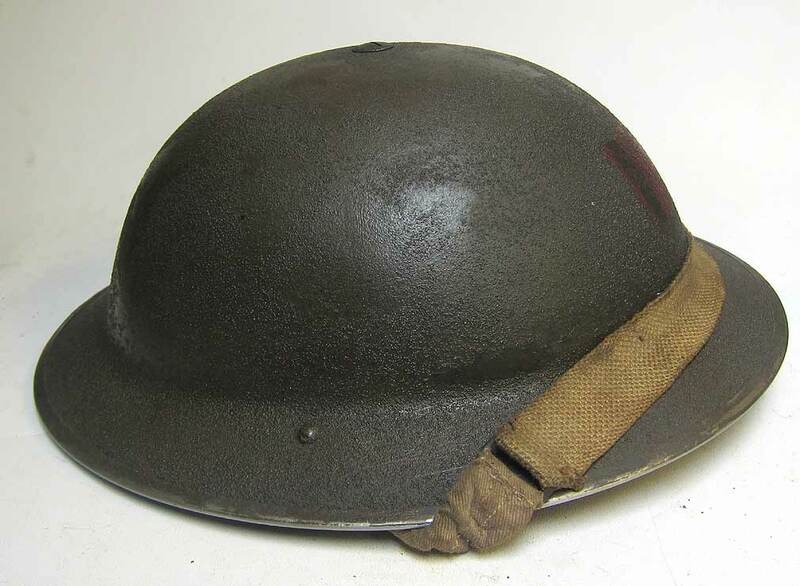 This helmet was supplied as a customer paint in matt black paint which did not look original to WW2. Both the shell and liner are dated 1939. 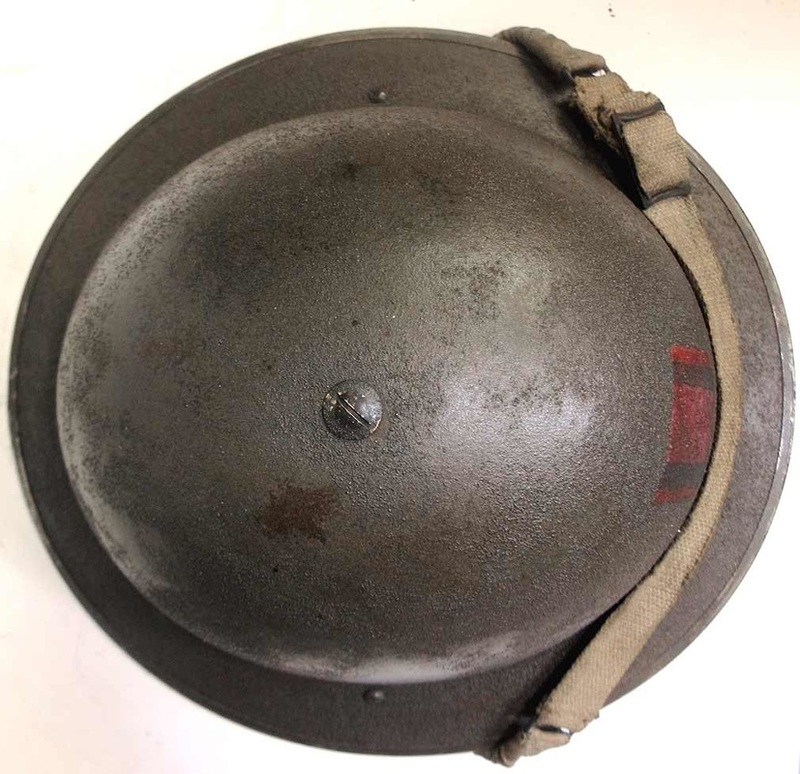 Our customer wanted the helmet repainted to reflect one of his relatives involved in the Battle of Dunkirk in 1940. He was a Lance Sergeant in the Royal Engineers. 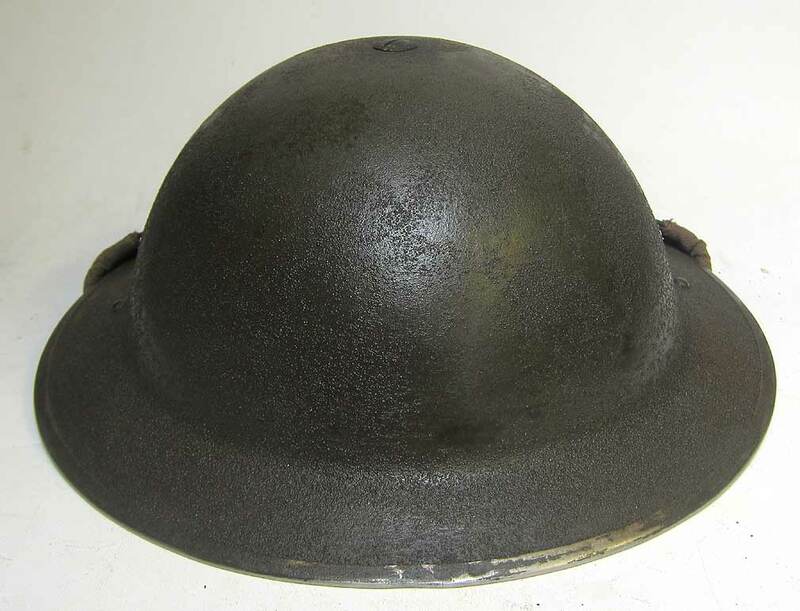 The outside shell has been painted in early war green/brown paint with added sand. 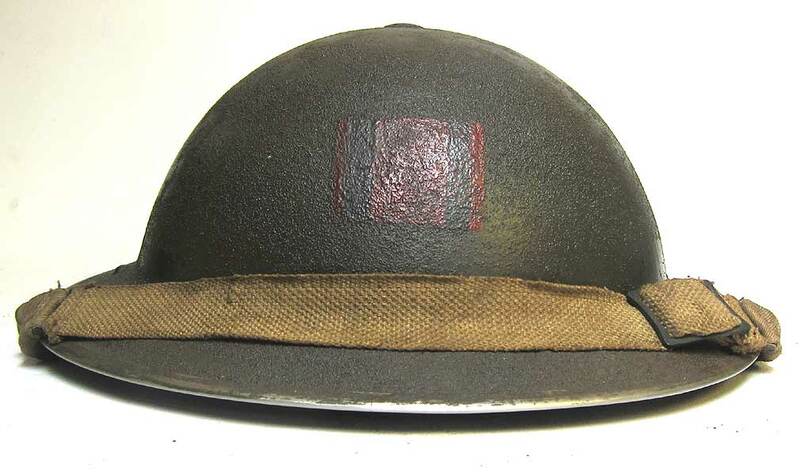 Suitable 'scrapes' and marks have been added and aged to reflect wear during and after Dunkirk battles. 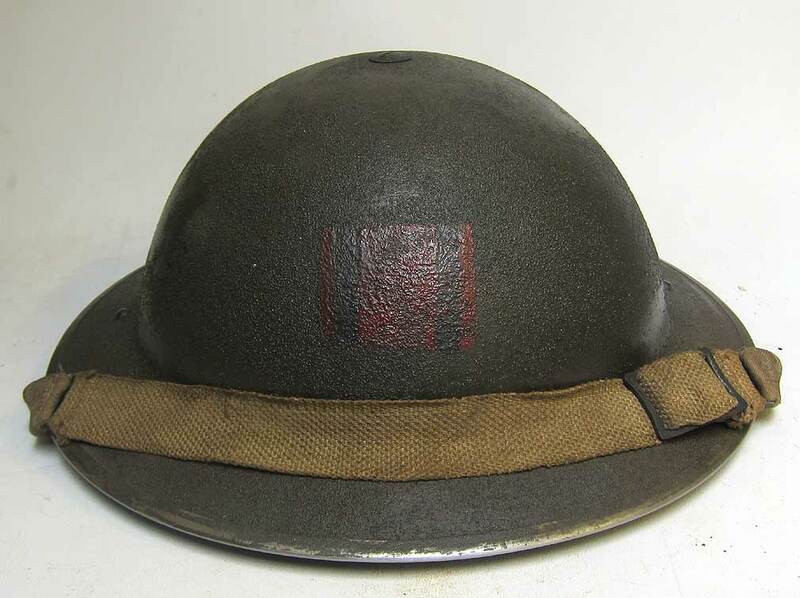 The Royal Engineers flash insignia has been hand painted and is taken from originals, worn at the front of helmet. 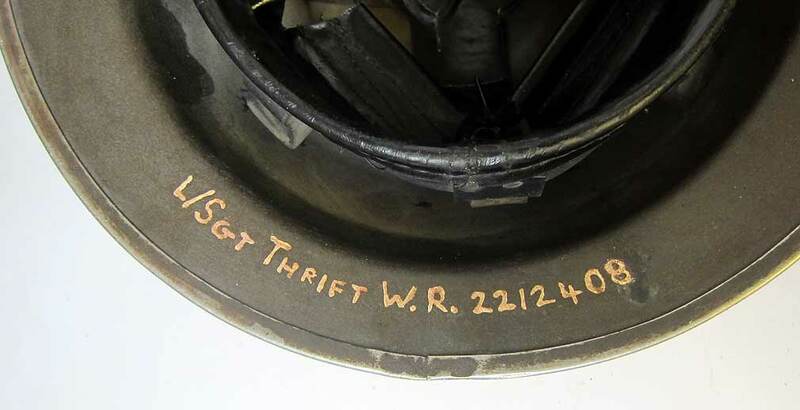 The inside has been painted in smooth green/brown paint and owners name, rank and number have been hand painted. 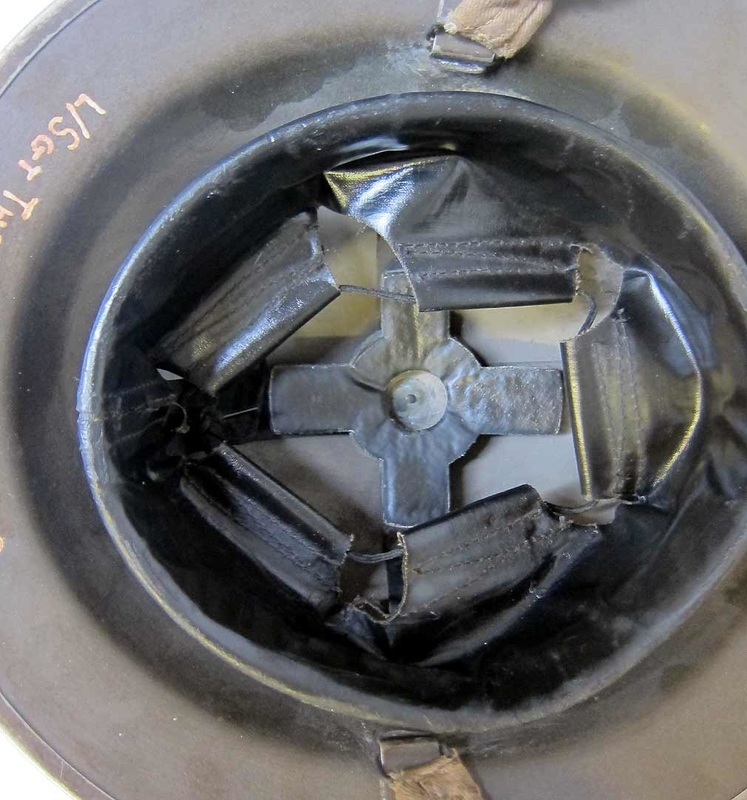 The pictures below show the finished helmet. 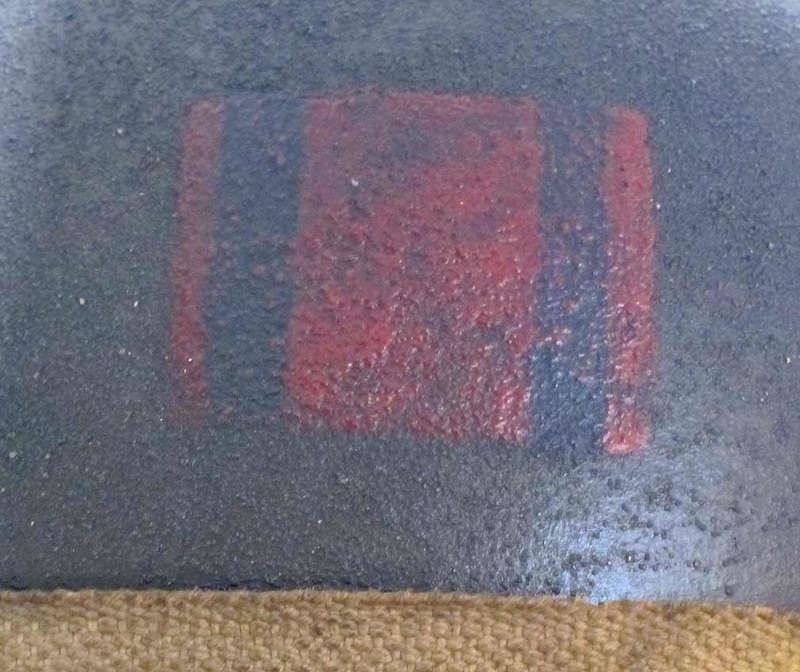 It has a nice shine to it which will fade down, as we have coated it in light oil.